Real estate agents have been complaining that appraisers have been under-valuing property again. Recently the National Association of Realtors listed the Cape Coral – Fort Myers real estate market as the #3 fastest rising home price markets in the country. Appraisals an Issue Once Again! Appraisals are one person’s opinion of value based upon recent sold data. The problem is in an upward rising market, past sales are yesterday’s news and today’s values are higher then a few months ago. In a declining market appraisers are quick to make a time value adjustment as sales from 3-4 months ago would be worth more than today’s market. Appraisers aren’t as quick in a rising market if you ask many real estate agents, and therein lay the problem. Buyers and sellers quite often sweat out the appraisal which unfortunately doesn’t always occur right after the contract. Many sellers are requiring the appraisal number to come in within 15 days of contract acceptance to remove this obstacle. Typically a buyer gets pre-qualified for a loan and then goes out shopping for a home. With inventory so limited in SW Florida it’s getting hard to find suitable homes in a buyer’s price range, and when you do find a home for the buyer the buyer isn’t holding all the cards. The sellers are pretty much able to dictate certain terms as there are several buyers looking at the limited inventory in some price ranges. The banks usually order the appraisal from an appraisal management company who hires the appraiser. The management company serves as a middle man to keep the lender from influencing values. A problem is if the appraiser is not local or is unfamiliar with the area, or simply chooses bad comparables, there isn’t a good way to fix a bad appraisal. The bank is typically stuck with that number, so the buyer is stuck, unless they’re willing to switch lenders. We work with one local lender who has access to 3 appraisal management companies, so if we get a bad appraisal from one company they can seek another opinion without being stuck. This does add time to the process though and isn’t ideal. This forces sellers to take the best possible buyer, and price isn’t always the most important issue. True enough, in a tight supply market, all buyers are going to be at a high price, but what really makes a buyer stand out from another buyer are the “Other” terms, like closing date, and amount in escrow. If a seller has 2 or more offers and one has $10,000 in escrow and one only has $1,000 down, which offer sounds better? Even if there isn’t another offer Yet it still screams weak offer and throws up a red flag. In a competitive market where a buyer isn’t in competition with the seller but rather with others buyers, it pays to make your offer look strong anyway you can. If you’re financing there is a limit to how high you can go because it has to appraise. Do the other things to make your offer stand out. Listening to your agent will help. If you don’t make your offer stand out, you’ll be on your 4th or 5th favorite home instead of your 1st, and in this market many times there aren’t more than 3 to choose from. If you do run into an appraisal problem, there are things you can do. Perhaps the seller may consider pre-paying the mortgage insurance which might eliminate the need for the property to appraise. Speak with your agent and lender about these options. 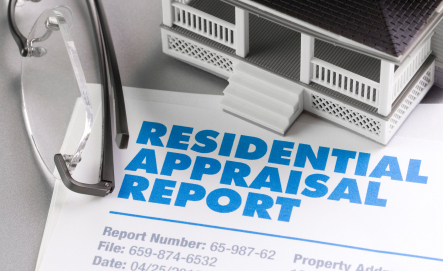 Don’t let a bad appraisal Kill your sale. Posted in Cape Coral, Cape Coral Real Estate, Fort Myers, Fort Myers Real Estate, Southwest Florida Real Estate.Tagged Appraisals an Issue Once Again, Cape Coral real estate homes for sale, Fort Myers real estate market, National Association of Realtors, real estate appraisals, Southwest Florida real estate market.